HoneyColony redefines nutritional energy with a new super superfood called Equilibrium Energy SuperfoodOur specially formulated certified organic highland honey-based blend consists of organic and wildcrafted ingredients—cultivated with the highest standards to bring you energy and superfood yumminess with every serving. At the core of Equilibrium Energy Superfood is certified organic highland honey. Eleven other potent superfoods are added—each one organic or wildcrafted, boasting numerous health benefits. The total 18 ingredients bring harmony to a life that faces any stress, toxins, and negative energy. Equilibrium Superfood is made in small batches to ensure high quality, exact measurements, and consistency in every jar. To ensure our product never loses integrity, we use high-quality Biophotonic jars that only let sunlight in to improve the substances in each formula. Suggested Use: Stir after opening. You only need a teaspoon a day of this super potent superfood blend, preferably on an empty stomach. However you can add it to a smoothie and have a teaspoon pre-workout. One 12 ounce jar should last you a month with a teaspoon per day. Extremely POTENT. love to start my day with products. Always feel great! I’m a student, I’m constantly in need of a boost because my days are long and my nights are longer. 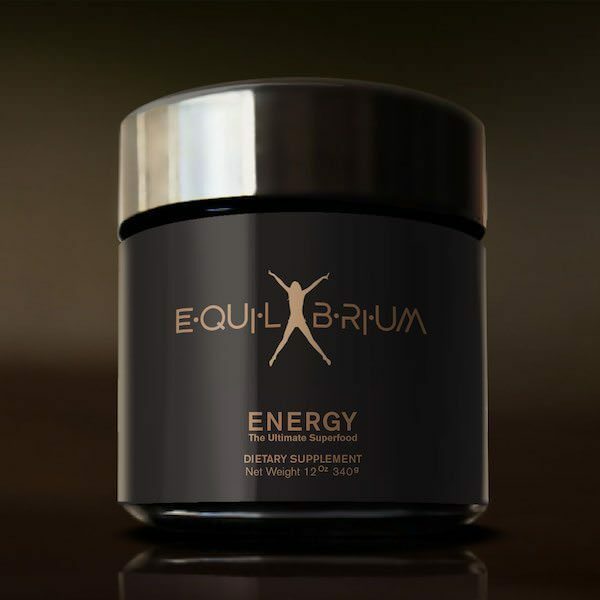 I love equilibrium it gives me a boost of energy in the morning, and helps me make it through the day! It’s an amazing superfood, and I love that there are a bunch of other benefits that come with it besides energy! Love it!! Wow, what a combination! Love the taste. I give it to my 2 girls who are competitive swimmers – helps me get some great quality nutients jam-packed into a spoonful! This product has become a necessity in my day to day life. It keeps my insides happy, helping to reduce bloating, gas and encouraging regularity. The fact that my insides feel better helps give me more energy to face the day. This particular product includes a number of probiotic strains as our insides are meant to have many and it also includes prebiotics as well to encourage healthy microbe activity in the gut. I am pleased with the results. It’s interesting because once I started taking it I noticed a difference but it wasn’t until I missed taking them for a few days that I really realized what a difference they make in how I feel. 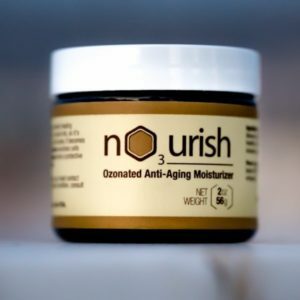 This product worked well for me, I appreciate that the product is of high quality and truly effective. This herbal product is a real asset for me. Previously, I used other dietary supplements, but none of them has been so effective. What’s more amazing is the fact that it does not have any side-effects at all. As an athlete I have been looking for an organic nutritional product that can help in boosting my energy and enhance the demanding nature of my physical activity. 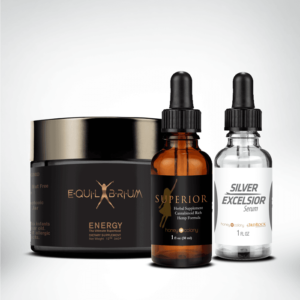 When I purchased Equilibrium Energy Superfood from HoneyColony, I was at first skeptical about its use but after using for a few weeks my doubts were put to rest. I started experiencing some enormous energy each day and my mental clarity improved significantly. After every practice I would use Equilibrium Energy Superfood to help relieve my muscles and stay relaxed and calm, focusing effectively on my health and wellness. I believe Equilibrium Energy Superfood is a great product for enhancing physical activity, alertness and removing toxins from our body. I would recommend this nutritional product to my family and friends to use again and again. I began using this about two months now,a teaspoon a day on my smoothie before heading off to work.I do feel my energy level has increases and leaves me feeling more energetic.Thumbs Up! Before switching to Equilibrium Energy Superfood, I was already taking another superfood from different company.I have been using this product for 7 weeks now and I do have more energy and stamina so that I can last longer during my daily running session. One thing that I love about this product is that it is gluten-free and all organic. I must say that I am a very picky person and by far this is best superfood I have tasted.It does what it says and I consume this every morning before I start my day off.It is making a huge impact in my overall health and energy level and I am now on my 3rd jar. I was amazed at all the ingredients listed in this product and enjoyed using it. The taste is actually quite nice on its own, surprisingly! Coming from someone who definitely needs a boost of energy daily, and who used this product regularly, I can say that it did increase my energy levels. Sometimes I did feel a bit restless; however, I would still continue using this product just because of the energy it did give me. I have some very taxing chronic conditions including fibromyalgia, Hashimoto’s thyroiditis and a rare cerebrospinalfluid imbalance, and I have to avoid caffeine. I found that Equilibrium was a great pick-me-up without a fizzle and crash that caffeine is famous for. I found that I tolerated it quite well when I stirred it into my favorite herb or fruit teas in the morning – that way I adhered to the recommendation of consuming it on an empty stomach, but I found it easier to taste than straight from the spoon. I was pleasantly surprised that I actually experienced an energy boost, unlike so many other products I have tried and and had mediocre results at best. I am also impressed that the company has put thought into everything about the product right down to the packaging so that nothing is compromised in the quality. This product is packed full of 12 superfoods which anyone can use, but especially someone with a chronic illness. Did I feel more energized after using this product? I honestly can’t say. But, I think like any healing food, it takes time and I only experimented with this one small bottle. I love this stuff! It is a very clean and pure product and it’s an excellent way to up your daily intake of nutrients and antioxidants. This product is great in whole food smoothies and provides me with a pleasant surge of energy to alleviate fatigue, but didn’t make me nervous or jittery. It tastes great and its ingredients nourish at the cellular level. Very nice, I plan to use it daily. I received HoneyColony Equilibrium Energy as a gift from The Chronic Illness Bloggers Network, but opinions are my own. I have been taking Equilibrium Energy regularly for several weeks now, and it has definitely made an improvement in how I feel. It has become a part of my regular morning routine! I like to take it mixed in with a smoothie, because the taste was hard to get used to. I am told this is typical of superfoods if you’re not used to eating clean! Like all supplements, you won’t feel a difference overnight. You have to take it regularly to notice a change! This is a highly sought after health supplement because it contains quality ingredients that are naturally energizing and tastes great with a blend of honey unlike most other superfoods, it mixes well and I found it easy to substitute entire meals with my green smoothies. 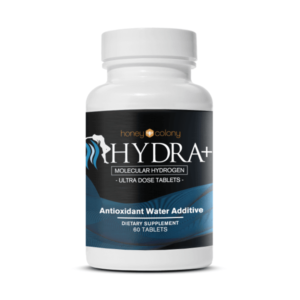 I’m really impressed by this product cause I noticed more energy after daily use, as it’s an excellent way to boost up one’s daily intake of nutrients and antioxidants. what more can one ask for? I feel much more energised thanks to this miracle supplement. It tastes wonderful, though not too sweet, and I often enjoy a spoonful in the mornings to get me through my day. My daily workouts are much more productive thanks to my more stimulated self, and I cannot thank you enough for the results that this has given me. I delightedly find that I am eager to take my teaspoon of Equilibrium Energy each morning! I believe that it has done just that — added energy to my day. And I have even snuck a second dose on an afternoon when I didn’t have time to put my feet up. Its taste is like a profoundly rich honey, however the added ingredients lend a consistency that is enjoyable rather than cloyingly sweet. I was so impressed that I have purchased the travel pack so that I will never be without this amazing, tasty product. ingredients are are among the best you can consume on a daily basis to assist with detox and provide the pure nutrition needed to perform at an optimal level. I highly recommend making Equilibrium a part of your daily regimen. At first I was not sure it would be worth the buy ???? I was like; “why invest so much on something, I am not even sure would work.” However, I steeled myself and decided to give it a try, after reading appraisals about it on their Facebook page! Believe me, it has been awesome so far. I personally like the variant meant for athletes and those with active lifestyle. Since its delivery on June 19th, I can whole heartedly testify that if has been a jolly good ride so far! I have noticed more efficiency in maneuvering my duties both at work and with the family. The fatigue still comes if I overly stress myself, but right now I feel like i’m 100 times better than my old debilitated self. It is a worthy investment for me. I am pretty consistent with my morning routine, and Equilibrium Energy is a pleasant addition. I find myself looking forward to a teaspoon when I wake up. If I miss the teaspoon early, I add in with my oats. 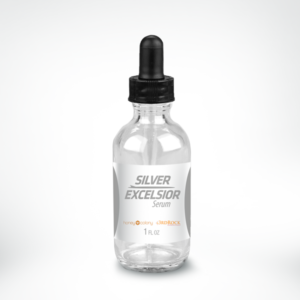 The taste is similar to honey, but the formula is very rich with a gritty consistency. A small bit goes a long way. Feel upbeat, energized and positive about my workout when I’ve had a bit of Equilibrium.